It is a safe bet to say that most of us will visit bunch of shops next couple of weeks hoping to find unforgettable Christmas gifts for friends and family. If you are retail sales assistant, you might want to spend the upcoming month scoring big, selling extra and treating yourself with nice sales commissions. Can you honestly say that you went an extra mile with every single shopper who entered your store? Did you always make sure he left with a purchase? Meantime, each person visiting your floor is an excellent opportunity to expand your customer base. Remember, “Shoppers are not and have never been an interruption of your work: they are your work”. Your customers deserve and expect prompt assistance and courteous treatment, regardless of how you feel personally of any given day. Shoppers can’t be expected to care about your personal problems. If you let your bad day show through, you will certainly leave a poor impression of yourself and your company. The ability to perform in spite of problems is a benchmark of the professional. It is easy to get involved in a chit chat with other salespeople, especially when things in store are slow. But, that is not what you are there to do. When shop visitors need help they often feel uncomfortable about interrupting agents who are obviously engaged in conversations. They will most likely leave quickly feeling angry about being ignored. You never want clients to feel that your conversation with fellow staff is more important than they are, even when a shopper doesn’t look like a promising customer. Every visitor of your store has to be greeted in some way – at the very least, a simple hello. Acknowledging the customer makes her feel welcome and lets her know you are glad she came into your shop. In case you are occupied with something else, giving each of your clients quick recognition while they wait for your attention helps them develop a positive attitude towards you and your company. Have you ever thought “…the person just entered won’t buy anything; he most probably cannot afford a single item in the store”? Probably every shop assistant almost unconsciously estimates customer’s potential when he looks at him, but the most important part is what happens after this appraisal. Your personal opinion must not influence on the way you communicate with the shopper. No matter how unpromising the visitor seems to you, you should treat him as if he plans to take your whole stock. You should be extra careful about personal space of the visitors. Some will leave after they exchange couple of words with you, others don’t feel comfortable if you stay too close. Before you become too friendly with your client, try to get him trust you. Don’t ask shopper what is his name in the very beginning of your presentation. Customers might often think such introduction is unnecessary. Shoppers often prefer to stay anonymous until they decide that they see something they really like. 7. No Sirs and Madams! This method might seem rather unconventional. Harry J. Friedman started to use it after he spoke with over a thousand people who visited his workshops asking how they feel when salespeople address them as sir or madam. The vast majority (95% ) answered they don’t quite like it. Youngsters and middle age people say that makes them feel older, and seniors immediately start thinking of their age, which they often try to hide. ‘May I help you, sir?’ seems especially awkward when the sales agent is in fact older than the shopper. Instead of using sir and madam simply be polite and courteous, that is enough. Shoppers don’t always know correct titles of the merchandise they need. Sales agents on the contrary often are proud about being the master of the industry slang. If you do know the available items’ selection well enough and you listen carefully to what the customer is saying, you will be able to “decode” what the client has in mind and provide him with an excellent service without pointing at the fact that he doesn’t quite get the difference between Kindle and IPAD2. In every industry there are terms (definitions) that explain what the item is for in the best manner. Using these words you communicate easily with your colleagues. When you use these definitions when talking with customer, you can simply intimidate him. Usually shoppers won’t ask you what these words mean, because they don’t want to look vulnerable. Instead of questioning what it means, they simply leave. Your language must be clear and understandable. If you have to use an industry term, always explain what it means. If a woman is selling electronics or computers, she might want to prove her expertise by inserting some industry slang words in the beginning of her presentation. 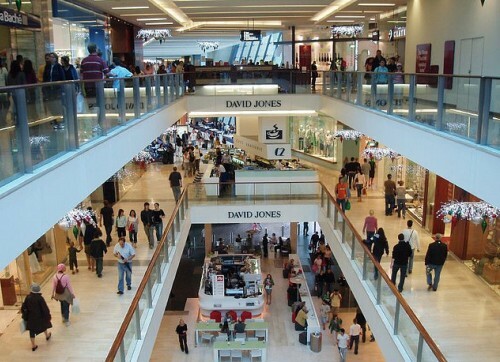 When shoppers enter your floor they feel they are in control. They heard “client is always right” from their childhood. You might know that is it not always true, but you need customers more than they need you. 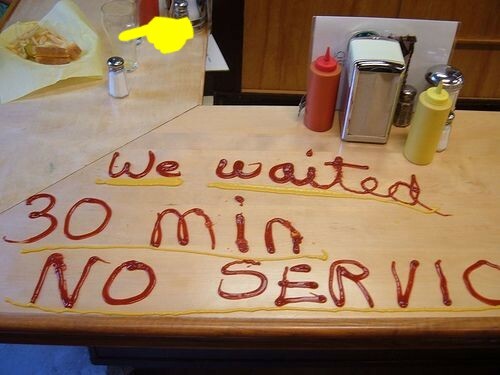 Customers are human; who can be rude, loud and who can sometimes make you feel annoyed. You will lose loads of clients If you start to explain them they are wrong. Friedman offers you an alternative solution, when you communicate with such people, try to sell them more. You better be wrong and reach, rather than right and broke. People think they are very important and they are right. When you interrupt her, you declare that she was wrong about her importance. Wait for your turn to speak and your chances to sell will increase significantly. If you try to listen more and talk less you will get more interested client. 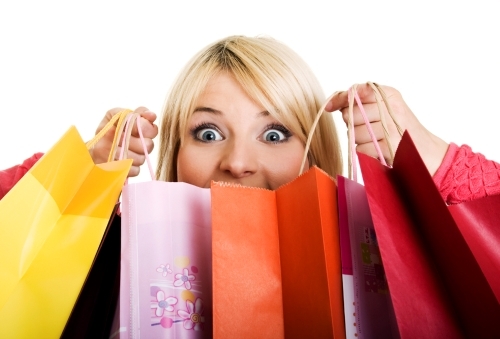 Researchers say that when shopper is speaking he is, to a certain extent, buying. The problems begin when your clients stay silent. Quality questions always lead to great presentation. Your ability to ask purposeful questions is extremely important. When nothing helps, the easiest way to provoke the shopper is to go to sales’ closure. It does sound strange, but no matter how the client feels about talking he will need to react on your attempt to close the sale. “This item is great, because..” – no reaction. “Also this…” – silence. And then you say: “Should I wrap it up for you?” You will certainly get her to talk. The easiest way to make your clients like and trust you – let them talk. Knowing what your customers know is very important part of your work. So let them tell you. When shoppers enter your store they start to form an impression about the room, merchandise and about you even before you said your first word. There are a lot of factors you can’t control that influence customers’ opinion. That is why it is extremely crucial to do the best you can when it comes to the things you can control. The shop itself has to be crystal clean with shining windows and showcases. Sales assistants must look neat and be dressed well. They have to be friendly and look appealing. You have to dress the way so you wouldn’t provoke any indignation in the majority of customers. Amateur agents wonder if shoppers are going to buy. Professionals know they are; it’s only a matter of what and how much. Such confidence comes from the accumulation of knowledge and experience. Unfortunately, lots of salespeople only use their first year of experience while 20 years on the job. Strive to grow each year, learn from mistakes and acquire new knowledge all the time. What matters is what the client wants – not what you like or think is best. When you can sell an item that you personally dislike with as much enthusiasm as an item you love – that is when you can begin to call yourself a professional. A superstar agent does not behave the same rigid way with every client but adapts to situations and to the style and tempo of each customer. Look at the shopper, hear her and color your presentation in such way as to make it comfortable for her. Do you have questions about 20 Habits of Leading Salesmen or you think we forgot to mention something important? Come talk to us! Leave your comment below! « When Is The Right Time To Send Out Christmas Cards?